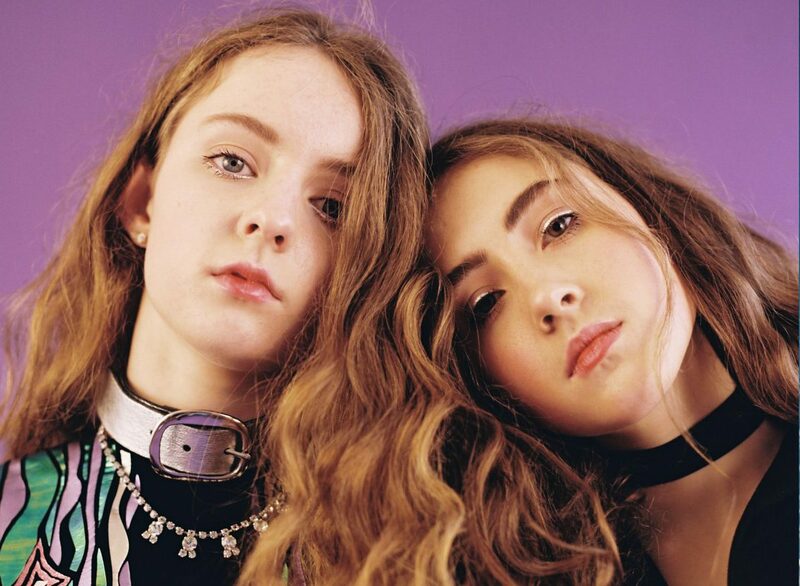 Rosa Walton and Jenny Hollingworth, also known as Let’s Eat Grandma, have released the single ‘Hot Pink’, their first since 2016. Arguably a step into a more pop-like realm for the band, this is one venture that has led them down a dark and frankly scary path. A vast departure from their comparatively subdued, but equally eccentric, debut album I, Gemini, ‘Hot Pink’ embodies a destructive contradiction to any preconceptions, but not for the better. The song begins with an uninspiring but palatable intro that suggests the remainder may be your average clichéd indie track, but soon dismisses any ideas of homogeny. As soon as the chorus hits, what once was a source of indifference, rapidly turns to an assault on the ears. The further the song goes on it becomes more and more disjointed, and almost unbearable to listen to. The Norwich-based duo are certainly capable of much better than a song fragmented by an unnecessary pre-chorus “Oh, oh /Wait a minute” before introducing a new and rather unpleasant beat for a chorus which is hampered even further by the incessant chanting of “Hot pink/ Is it mine, is it?/ Is it mine, is it?” Whilst, of course, music is entirely subjective and what is my opinion is certainly not representative of everyone, I do beg the question: who would actually choose to subject themselves to this? With the release of new music probably imminent for the band, the abject failure of ‘Hot Pink’ does not bode well. However, it is also highly unlikely that they’ll produce anything worse than this, I hope. That being said, I don’t doubt that Let’s Eat Grandma will soon find a return to form and that this song was a voyage into the unknown that didn’t pay off this time.